An anxious Wright swung at the first pitch he saw in over two years, grounding out to third base. 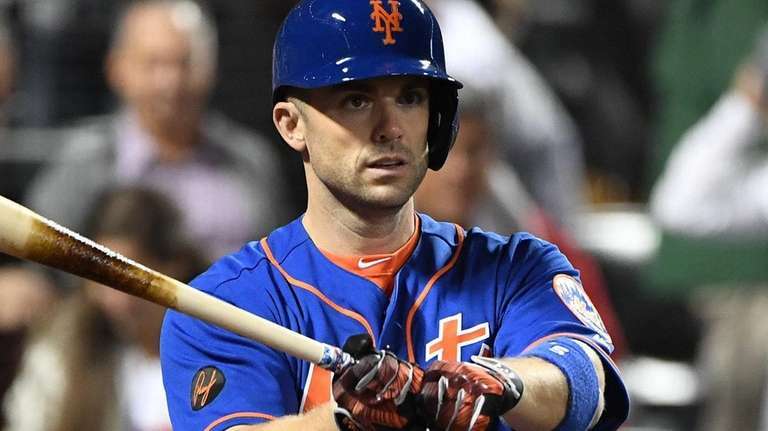 At 8:27 on Friday night, David Wright popped out of the dugout and into the on-deck circle to prepare for his first major league at-bat since May 27, 2016. The crowd of 27,045 at Citi Field stood and cheered for the Mets’ captain. The only problem was there were two outs in the fourth and Wright’s pinch hit at-bat for pitcher Corey Oswalt would come only if Kevin Plawecki extended the inning. Plawecki grounded into a forceout for the third out. Wright went back into the dugout to wait for the fifth inning. He had waited two-plus seasons to make his return. What were another few minutes? At 8:44, after the Marlins scored two runs in the top of the fifth, Wright came out of the dugout again. The crowd stood and cheered again. At 8:45, Wright walked to the plate as he was introduced by the public address announcer. Wright took a practice swing, dug into the righthanded batter’s box and grounded a first-pitch fastball from righthander Jose Urena to third baseman Brian Anderson, who fielded a short hop and threw out Wright at first. One pitch. One swing. One out. David Wright was a big-league player again. It was a brief hello. 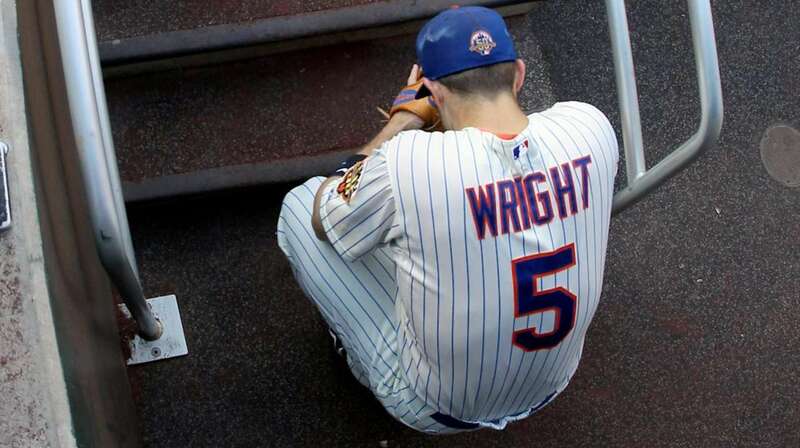 On Saturday night, Wright will start at third base in his final game and say a longer goodbye. Wright has been active since Tuesday, but the Mets did not use him in three games against the Braves because Atlanta was playing for home-field advantage in the playoffs. The games against Miami are meaningless in the standings, but obviously very meaningful to Wright. On Saturday, Wright will start at third base and in his familiar third spot in the order. After his second plate appearance, Wright will take the field and then will be taken out so the sellout crowd can give him an ovation. After he leaves the game, Wright is expected to appear for a half-inning on the TV broadcast (the game will be shown on SNY and Ch. 11) and a half-inning in the WOR-710 radio booth. Wright’s 2-year-old daughter, Olivia Shea, will throw out the first pitch to Wright’s dad, Rhon. The Mets also are expected to hold a postgame ceremony honoring Wright, after which he will address the crowd. That will be it. Wright will not play in Sunday’s season finale.